As well as undertaking private client commissions, I am available for commercial dog photography work. My studio is fully equipped with various coloured backdrops and lighting set ups for packaging and dog product photography. Clients I've worked with include Pick N Pay, Pet Prints Magazine, SA Pet Pages, Caesar's Way Magazine, Canine Zone Magazine, Max & Bella, Friendship Collar South Africa and Royal Canin. A studio shoot with the dogs behind the brand, Max & Bella, along with some of their biscuits and a tie in with Friendship Collar South Africa. 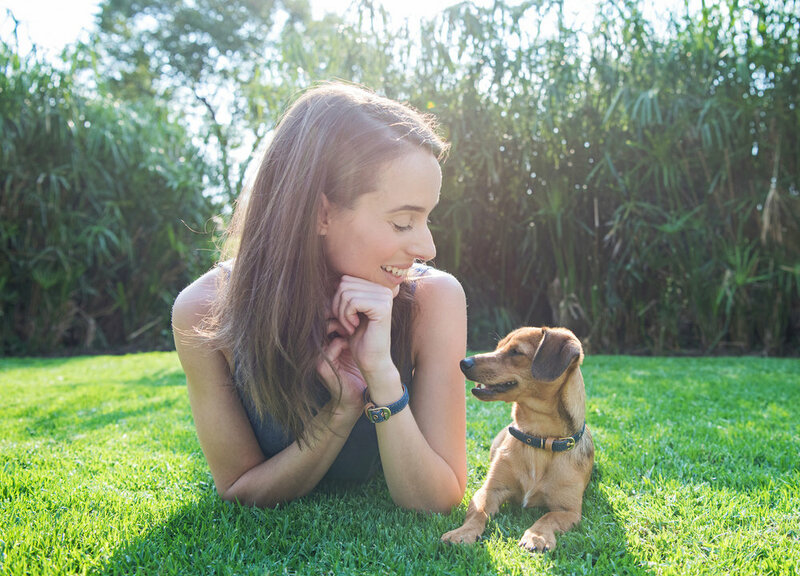 Portraits of Friendship Collar South Africa distributer Lisa and her rescue pup Floki, demonstrating some new designs and how the products work together for dogs and their parents.